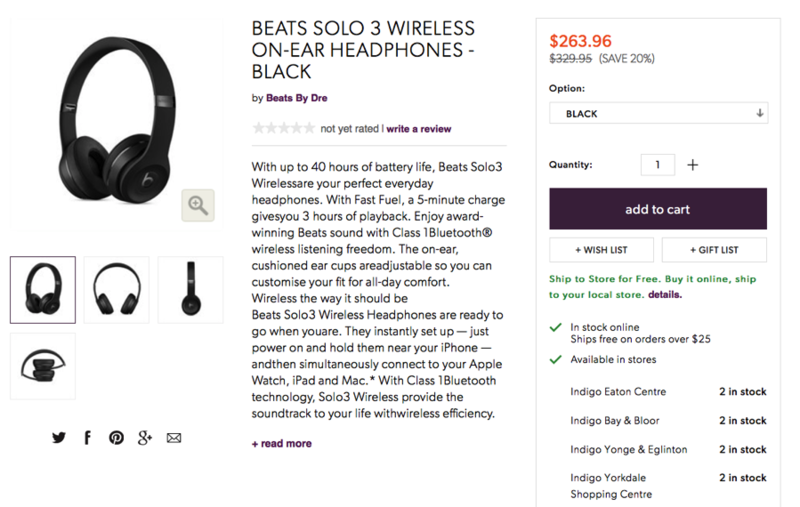 Apple’s latest Beats Solo 3 Wireless headphones include the company’s newest W1 chip for easy pairing, 40 hours of battery life, plus also have Fast Fuel, which means a 5-minute charges equals three hours of playback. The retail price of these headphones are $329.95 CAD from Apple and they rarely go on sale. But think again, because Chapters has them for 20% off both in-store and online at $263.96, saving you about $66. The Beats Solo 3 Wireless headphones—announced in early September—contain the same W1 chip found in Apple’s wireless AirPods, which are expected to debut soon, after being delayed by the company. Rarely have we seen a new Apple product or accessory go on sale so quickly at 20% off, so if you’ve been thinking about, go get a pair. It’s worth noting all Beats headphones are on sale at Chapters, beyond this model. The sale goes until November 6, 2016. Let us know if you’re going to jump on this!